Blepharoplasty is the professional term for cosmetic eyelid surgery, used for removing excess skin and fat around the eyelids. Patients who suffer with such attributes often find that their eyelids appear hooded or droopy, or prominent eye bags, all of which can be rather unsightly and difficult to live with mentally. Physical appearance means a lot for most of us, and so when there is something that we are unhappy with, especially in such a significant, obvious place such as the eyes, it can have a rather negative impact on your overall mental health and wellbeing. There are certain medical conditions that could amplify the appearance of the symptoms mentioned above, which might prevent from being eligible for this type of procedure, as well as other general eye-related conditions. The procedure itself is suitable for both the upper and lower eyelids and can either be performed under local or general anaesthetic. Both types of procedure are very similar in that an incision is made in order to remove excess skin, fat or muscle, before closing the incision with tiny stitches, supporting the muscles and tendon of the eyelid if necessary. This support is offered through the application of thin, sticky suture strips, which are normally removed after one week, along with any stitching. Upper eyelid blepharoplasty tends to take up to one hour, whereas lower eyelid blepharoplasty is a more complex procedure that could take up to two hours. Your appearance is immediately changed, but don’t be alarmed by the initial result as it will take time for side effects to subside and the full effect of your surgery to take shape. The overall result is more natural, youthful looking eyelids. Blepharoplasty offers permanent results for a long-term problem. It is important to consider such a serious procedure in depth before committing to surgery. Consider the reasons behind your choice and discuss your intentions with Mr Pabari during your consultation for expert help and advice. Patients temporarily experience bruising and swelling, numbness, increased irritation and sensitivity, and visible pink scarring. All of these will subside in due course, and your scars will fade almost entirely, as well as being hidden in the natural fold of the eyelid. Of course, there are some risks that you should take into consideration, as is the case with any cosmetic procedure such as this. There is the small risk of excessive bleeding and blood clots, as well as allergic reaction and infection. With blepharoplasty, there are sometimes instances of noticeable scarring, haematoma, asymmetric-looking eyes, and temporary vision impairments. In the rarest of cases, patients have been known to suffer from muscle injury, eyelid drooping and pulling, and even blindness. We must stress that these instances are extremely rare, especially here at The Pabari Clinic. Mr Amit Pabari is a leading cosmetic surgeon with years of training and experience, implementing only the most advanced surgical techniques to allow for the best possible outcome from every procedure. If you are at all concerned, do be sure to address your worries at the consultation stage of your treatment. Any side effects usually last around two or three weeks, while we recommend resting at home for a week and refraining from driving during this time. Ointments will be prescribed to help you clean your eyelids as they heal, and a good tip is to rest with your head propped upright to reduce swelling. Wearing sunglasses helps protect your eyes from the elements, and pain relief will also be prescribed if needed. It is important to avoid swimming in particular, as well as other strenuous activities for the first few days post-surgery, as well as avoiding smoking, rubbing the eyes, and wearing contact lenses. Who is suitable for Blepharoplasty? As mentioned above, this type of surgery is not suitable for patients suffering with a number of eye-related conditions. 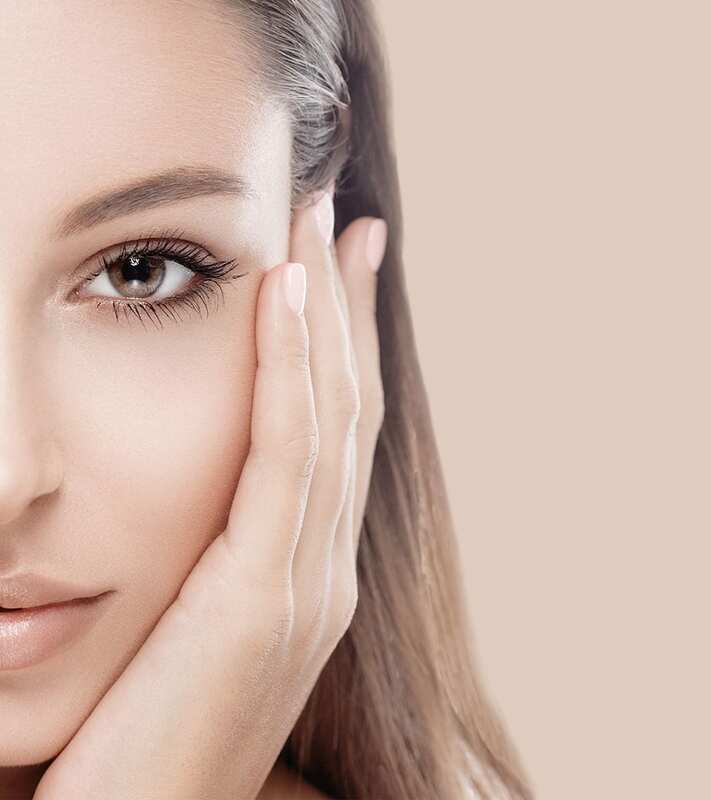 If you are concerned that you might fit the criteria for a blepharoplasty procedure, don’t hesitate to schedule your consultation at The Pabari Clinic. Our expert team fully assess your wants and needs to determine your suitability for this type of treatment before formulating a unique treatment plan that works best for you. The final cost depends on the extent of your surgery. Lower eyelid surgery is a more complex, time-consuming procedure, and so comes with an increased cost. Some patients also opt to combine both upper and lower eyelid surgery, which again would amount to a larger overall cost.